Mrs. Dot Cox has relocated to the state of Texas with Family & we wish her the best. Dot was a devoted wife to her husband Jimmy, loving mother & homemaker in Thomaston for decades. Dot is such a sweet lady that loves the Lord & we wish her many happy years in her new home. The Cox home is a Charming brick 2 bedroom home that is filled with Choice antiques collectibles. There is a most unusual gorgeous fine dining room suite Made by the Potomac furniture Tell City. 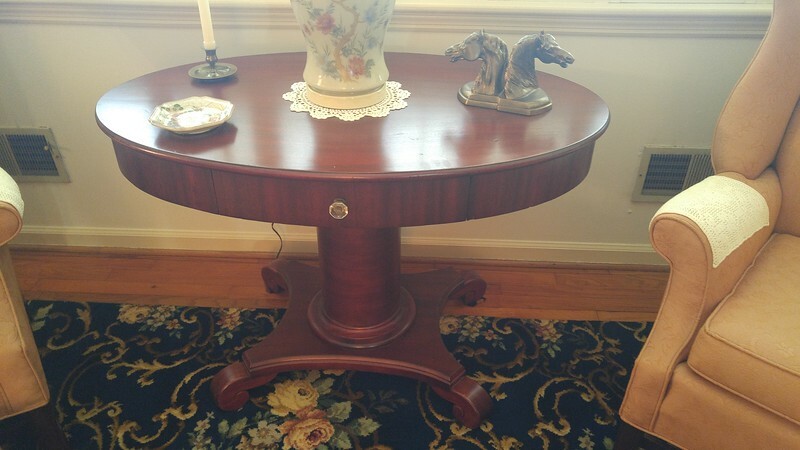 Solid Cherry with # 6 chairs, also matching china cabinet. All wood quality name brand signed furniture. everyone we are doing some different days & times for our customers & clients. The sale is Thursday March 24th and Friday March 25th from 11 a.m. to 6 p.m.
Come join the Kelly crew for some Easter candy, refreshments, & other goodies served while you shop! We appreciate all of our clients, customers & referrals . Without you our successful business would not be possible. At Kelly's we are a Christian Company & are not afraid to shine our light. Today's Bible verse. And we know that in all things God works for the good of those who love him, who have called according to his purpose.